Self-service checkouts have become the new domain for opportunistic thieves with almost one-in-five shoppers admitting to ripping off the big supermarket giants. And with Coles catching out ‘hundreds of thieves every week’, shoppers are continually getting savvy to avoid detection. 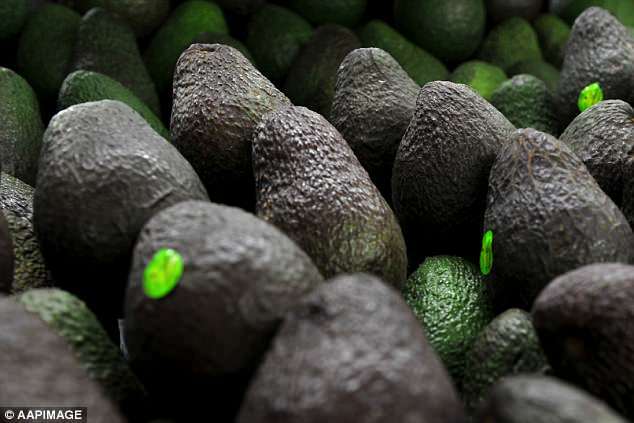 They are using techniques such as scanning avocados as potatoes to save cash, swapping barcodes on expensive groceries for cheaper items and deliberately not scanning products. Canstar Blue Editor Simon Downes said self-service checkouts are seen as ‘easy targets’ by some shoppers. ‘Self-service checkouts appear to have opened the door to shoplifting for many Australians who would previously not have even considered it,’ Mr Downes said. 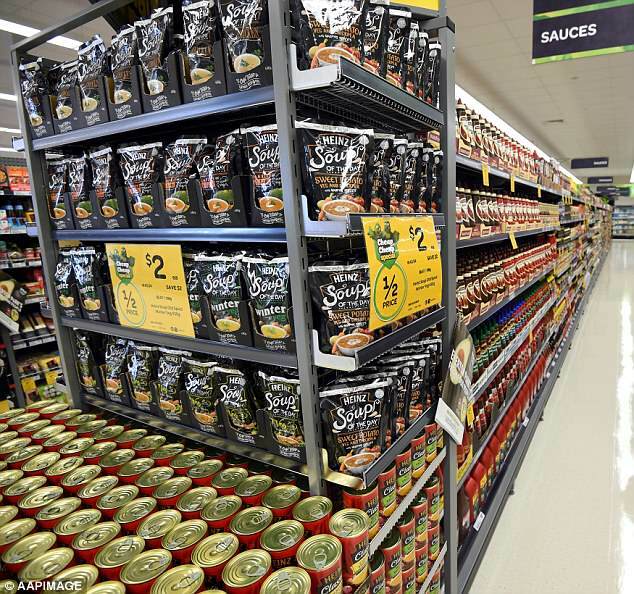 In February last year a mother from Ipswich, Queensland, was caught red-handed after she stole $4,500 worth of groceries from Coles and Woolworths by scanning every single item as a packet of 72 cent noodles. The woman glued the barcode of cut price fried noodles onto expensive slabs of meat, $200 coffee machines and other household products over a three-month period. Earlier this year, a ‘poor’ German backpacker was fined $100 after he failed to scan through expensive meat, bacon and cheese while at a self-serve register. Other techniques used by shoplifters include using re-usable bags which aren’t weighed by the machine, scanning through a bunch of expensive avocados as only one and failing to let the machine properly weigh a bag of pricey nuts. Canstar Blue recently surveyed more than 2,200 shoppers, with seven per cent admitting to deliberately not scanning items. Another nine per cent said they had scanned a product at a lower price when using a self-service checkout. 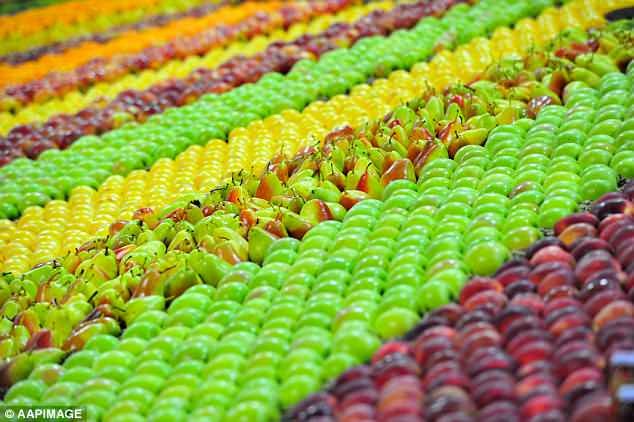 Fresh fruit and vegetables were the most common items stolen (24 per cent), followed by packaged foods at 16 per cent and snacks and drinks (12 per cent). And shoppers are using a ‘get out of jail free card’ to steal, costing Coles and Woolworths an estimated $1 billion a year. ‘In most cases, those people caught out trying to steal simply try to blame the machine, or claim it was a mistake,’ Mr Downes said. ‘These excuses seem to be seen as a ‘get out of jail free card’ because mistakes can genuinely happen. 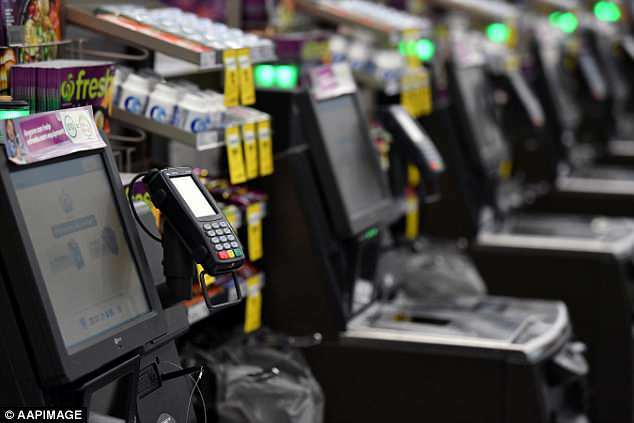 NSW and Victorian shoppers are the main culprits when it comes to thieving at self-service checkouts, while those in South Australia are the least likely to steal. Of those who admitted to theft, only five per cent said they were caught in the act. ‘It’s also worth keeping in mind that this survey reveals the number of people who to stealing. The true figure may be higher,’ Mr Downes said. A Coles spokeswoman told news.com.au they have trained covert security officers in their stores across the nation and ‘they’re catching hundreds of thieves every week and reporting them to police’. 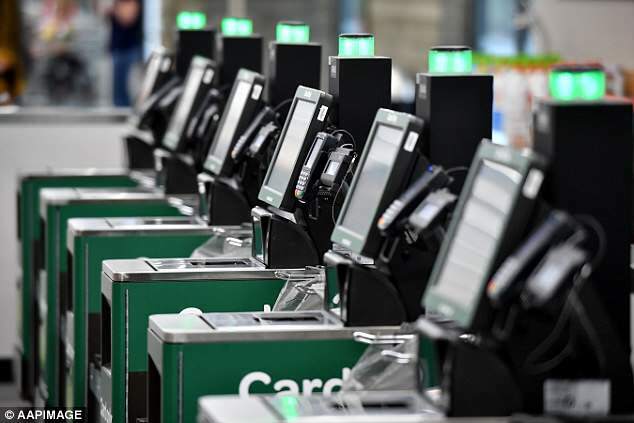 Woolworths said while the majority of customers do the right thing at self-service checkouts, they had security measures in place for those who don’t.